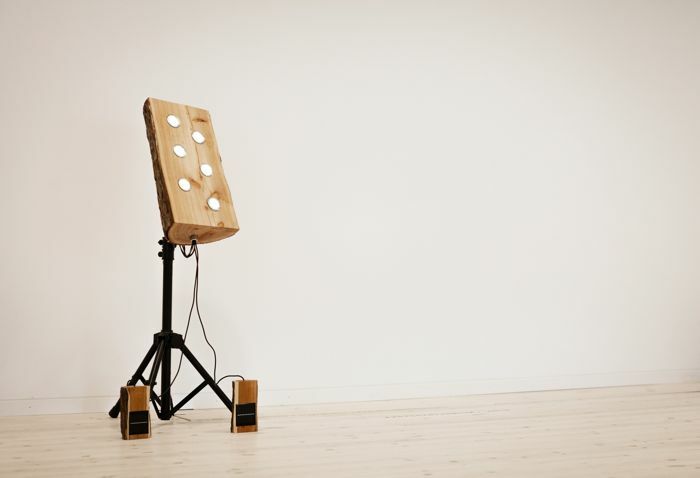 The Photsynthonium is a light based sound source for use with a iLog Photsynth. It uses 6 lights to transmit sounds, to hear the sounds the iLog Photsynth is used, moving the iLogs allows the user to mix the sounds. A new sound pallet can be created and uploaded for differnt perfomances. This piece has been developing for a while.